The Crypto Code software is used to automate your trading of Crypto CFD’s at various Forex brokers. As one of the largest Crypto Currencies, trading volume in Ripple has surged recently, and on many exchanges it has already surpassed Bitcoin itself. The surge is popularity has also had negative affects, and it created many online scams. Fraudsters are sending out emails to people adverting fake investment schemes. An honest review of a Crypto Code is actually done by you the investor. If you stop for a minute and ask yourself, Is this too good to be true?, then you will probably save yourself a lot of money and heartache. Warning signs to look for are; If the robot is advertising results greater than 60% accuracy, then it is a scam. Robots that ask you to deposit $250 at their “recommended broker” before you can see the software, are scams. When you are referred to an unlicensed Forex / Crypto Currency broker, that is based in Eastern Europe, 99% of the time it is a scam. In order to properly review a good Crypto Code, you must be able to see full details of the algorithm. 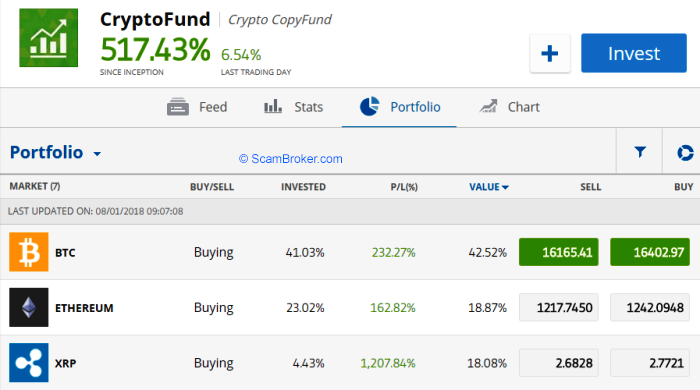 Take a look at the Crypto Fund from eToro. You probably heard about CryptoSoft and Bitcoin Code, and it is a good thing you didn’t fall for those scams! 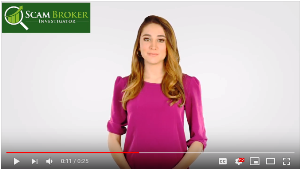 Their videos seem interesting, but they work with Forex brokers who are not regulated by the FCA or ASIC. Crypto Fund from the European licensed broker eToro is currently one of the best for Bitcoin investing. They put together a basket of coins, and invest based on an algorithm. Results for the fund was 89% in December 2017. More than 3,000 eToro clients are currently invested in it, up from 1,000 in October. The complaint most often discussed at the Forex Investor Forum, is about brokers who scammed new Crypto investors. Crypto Code software that advertises on Facebook and Yahoo, send you to Fake News sites. They make absurd claims about success, and after seeing it advertised so many times, people believe their lies. What begin with the binary option scams of 2015, became Forex scams in 2017 and now Crypto scams in 2018. Fiat currency traders, aka Real Forex Traders, use a software like Trading Central. The reason you can easily see, is that they are connected with legal regulated Forex brokers. Anyone can make a software or algorithm trading robot and offer it online for free, but the key is the broker where you deposit your money. If your broker is a scam, you will never see any profits.